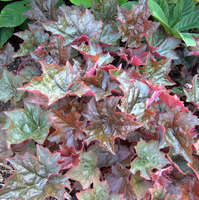 Ceratostigma plumbaginoides turns a rich shade of bronze-red in fall. 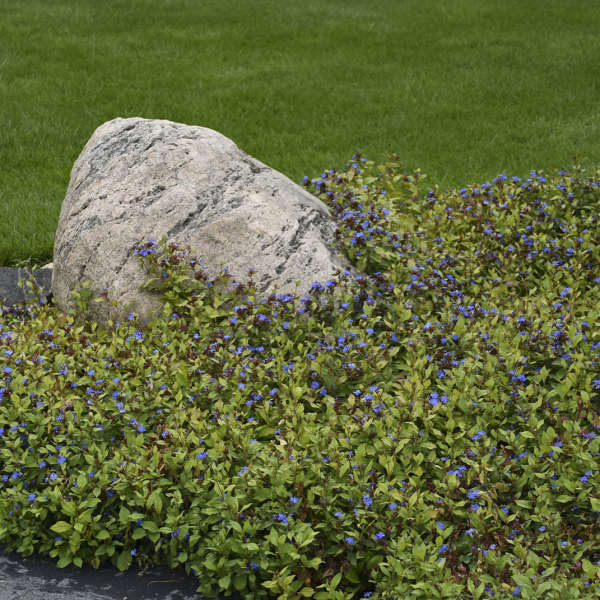 A groundcover that provides interest in late summer, after many other perennials are finished blooming, Leadwort is hard to beat. 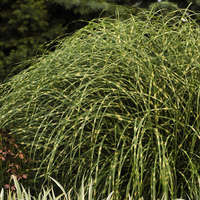 The foliage is green during the summer, then turns a beautiful bronzy-red in fall. It provides the perfect backdrop for the brilliant gentian blue blooms which are present from late summer until the first hard frost. 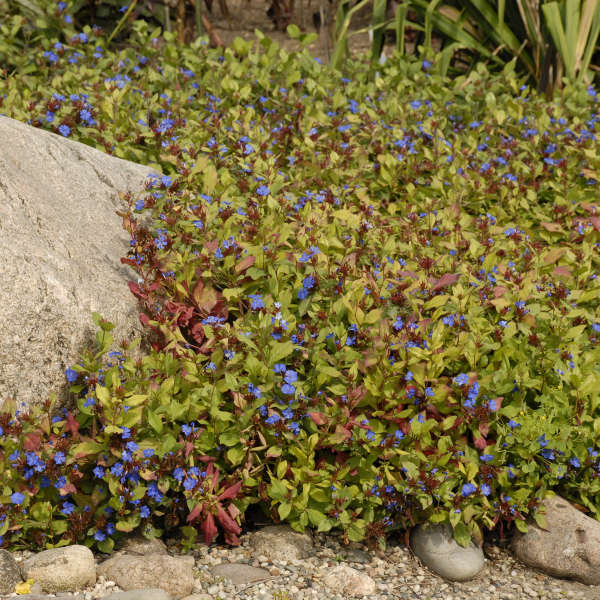 Use Leadwort as an underplanting to shrubs or large perennials or allow it to ramble over small rocks. Any way you use it, Leadwort will be a dependable, long-lived perennial. 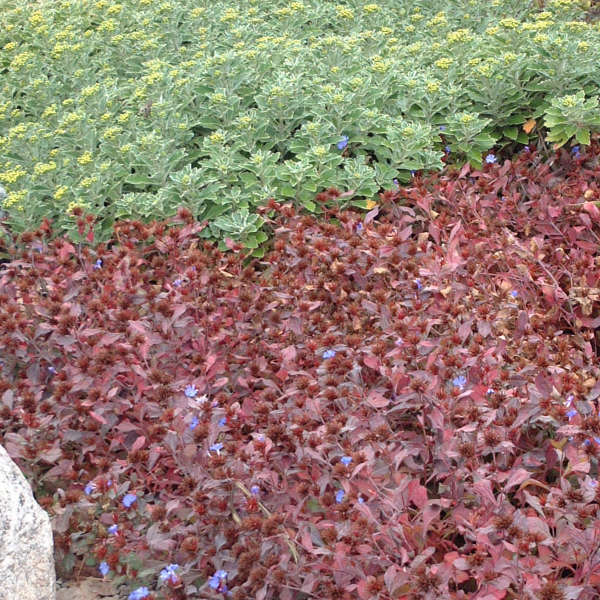 This versatile groundcover will grow in either full sun or part shade. 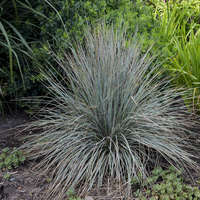 Plants will perform better in partial shade in southern climates. 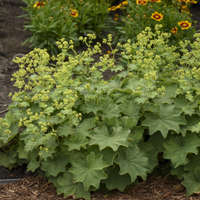 Afternoon shade will result in more open plants that spread more freely. 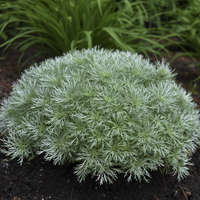 This plant is great for hot, dry places, but could use some water when really hot. 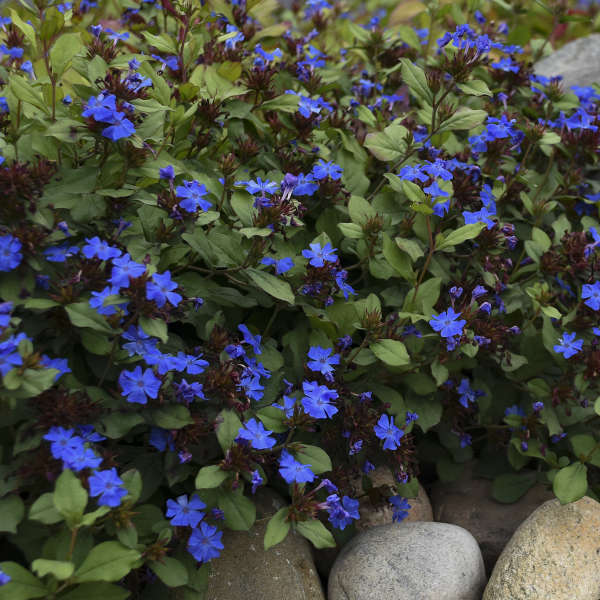 Leadwort goes completely dormant in the winter, and tends to leaf out late in the spring once it warms up, so be careful to remember where you have planted it. Planting before midsummer is highly recommended. Any divisions should be made in spring. Winter mulch in zone 5 is also recommended. Ceratostigma plumbaginoides produces chemicals that inhibit other plants' growth, which makes it a really successful groundcover. Since it prevents other plants' growth, the chemical in it (plumbagin) is being looked at for preventing the spread of some cancers.